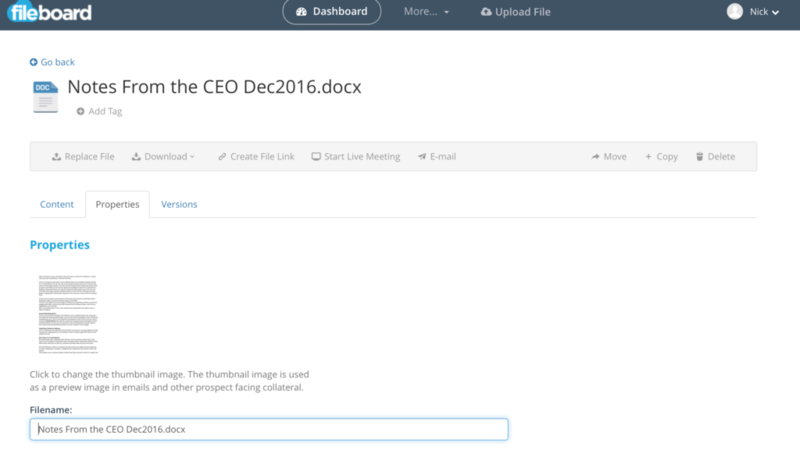 Follow the steps outlined in this document to edit the names of files and templates in Fileboard. Select More and then Browse Files. Choose the file that you would like to change the name of. You edit the file by selecting the Pencil icon to the right. Here you can change the File name. Once you’ve made the change, select Update to save. 3. 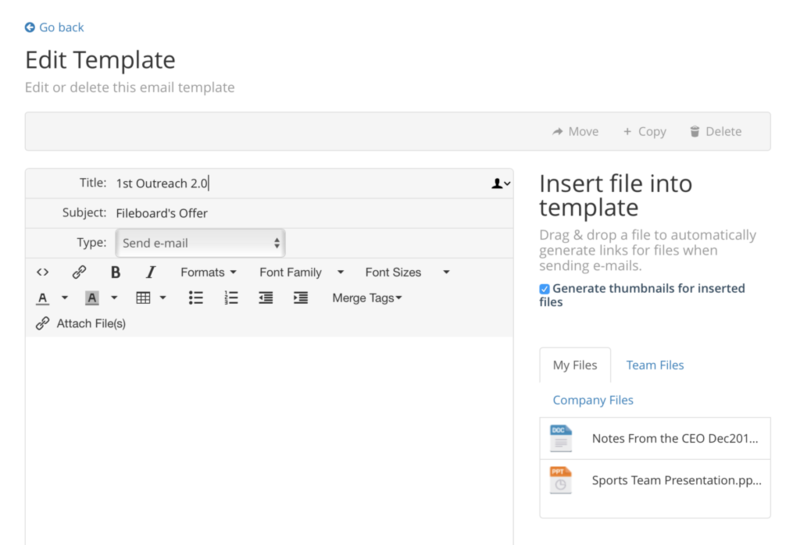 To rename Templates, select More and then Email Templates. Select the Pencil Icon to the right of the Template you would like to rename. 4. Select the Title section of the Template to edit the Template name. Changing the title will rename the Template. 5. Once you have entered the new Title, select Update at the bottom of the email to save.